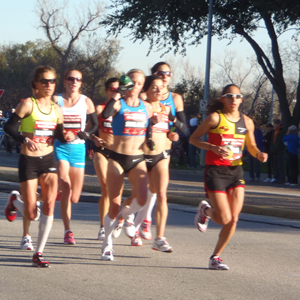 The Women’s Marathon takes place on Sunday, August 5 at 11 a.m. local time (6 a.m. EDT and 3 a.m. PDT). Along with the rest of the world, we’ll be watching the women’s marathon as the American team toes the line with the best women marathoners in the world. 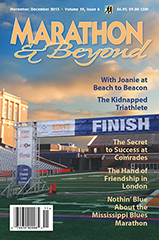 Desiree Davila, Shalane Flanagan, and Kara Goucher are fierce competitors, and we are eagerly anticipating the excitement of the marathon on August 5. The Marathon & Beyond staff was fortunate to watch the Olympic trials in Houston in January when these three women won a spot on Team USA. We congratulate all the Olympic athletes who will be competing in the 2012 games.